In January, Baylor University unveiled a marketing campaign to reintroduce Baylor’s distinctives to prospective students, parents, alumni and beyond. 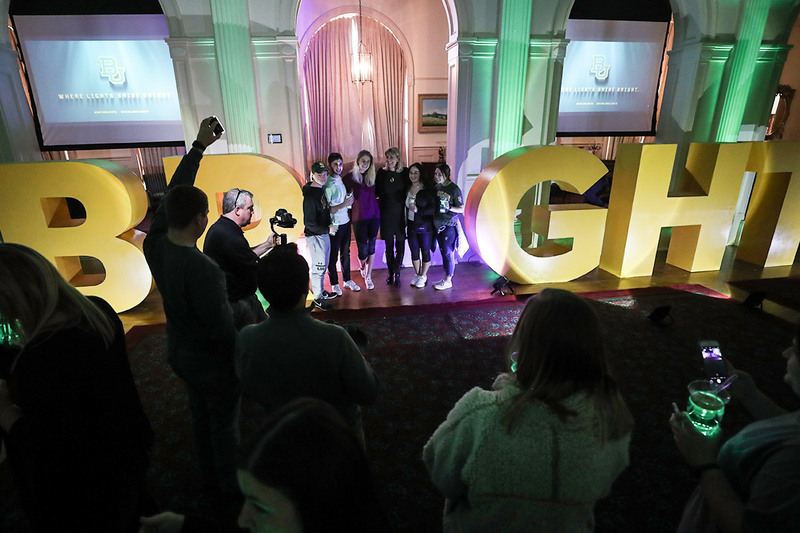 Grounded in Matthew 5:14-16 and enlivened by the hit Christian song, “Lights Shine Bright” by TobyMac and Hollyn, the campaign began with a campus focus and broadened to include key cities across Texas. 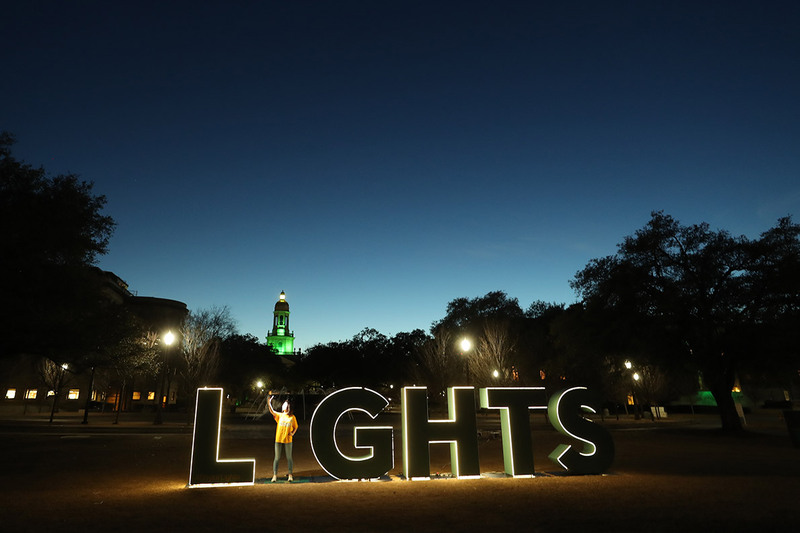 Photo spots dot campus and invite the University community and guests to be a part of #BaylorLights. 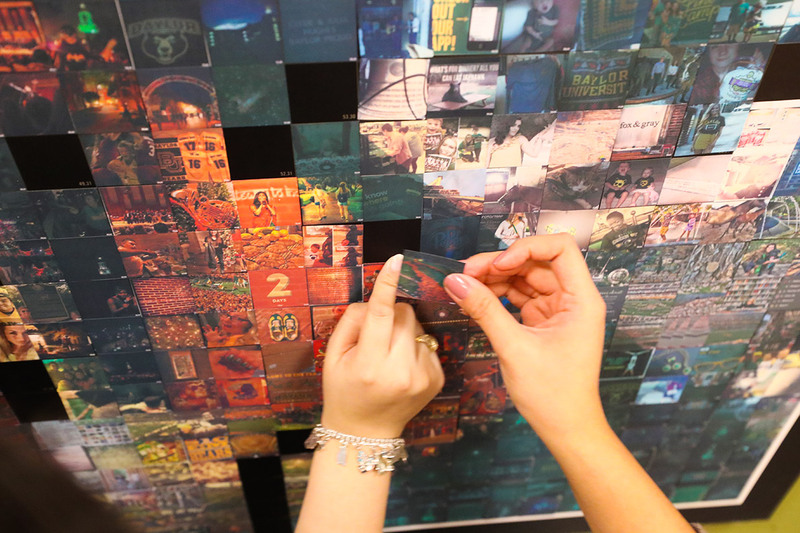 Student images became a mosaic of campus life in the Bill Daniel Student Center to reflect the thousands of #BaylorLights. Baylor lights (aka, USB-rechargeable flashlights) were given to students across campus as a reminder to be a light in the world. 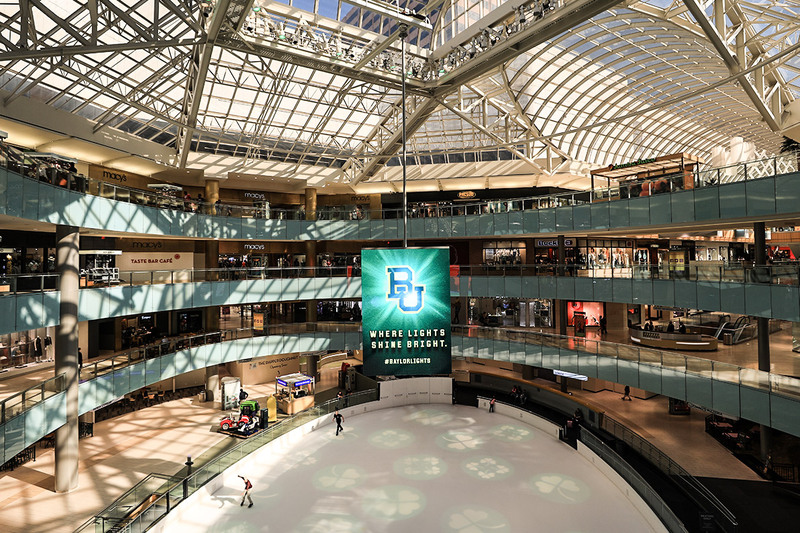 Above the ice rink in the Dallas Galleria #BaylorLights messaging invites passersby to learn more about Baylor. 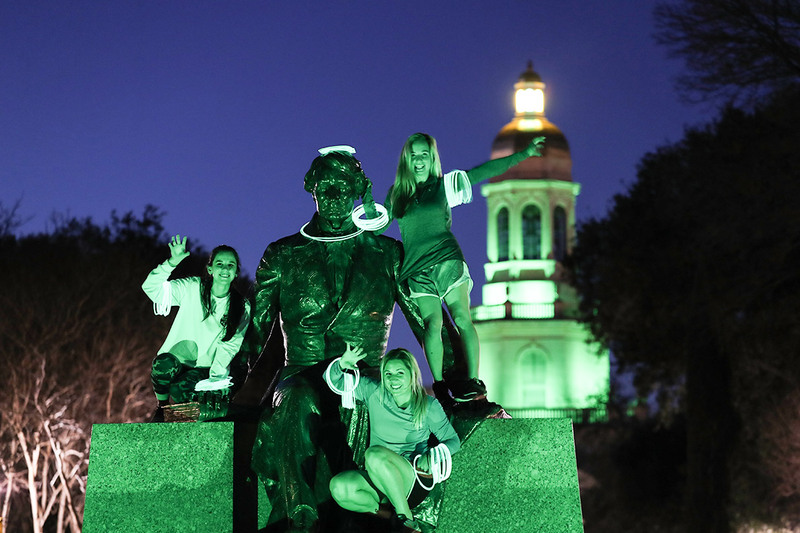 On the first week of the spring semester, statues, benches, swings and walkways were donned with glowing green lights to signal a new chapter at Baylor. 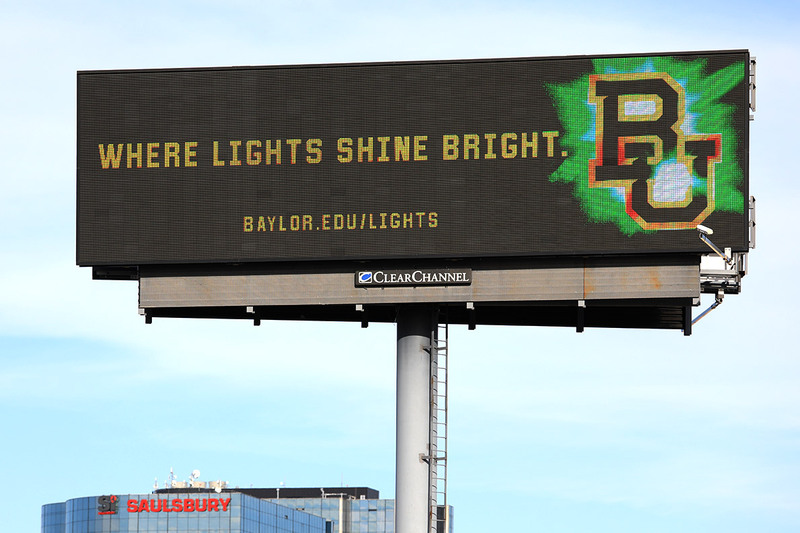 Billboards throughout Dallas, Houston and Waco invite prospective students, parents, alumni and friends to share the #BaylorLights momentum. Men’s and women’s basketball venues provided opportunities to celebrate #BaylorLights. 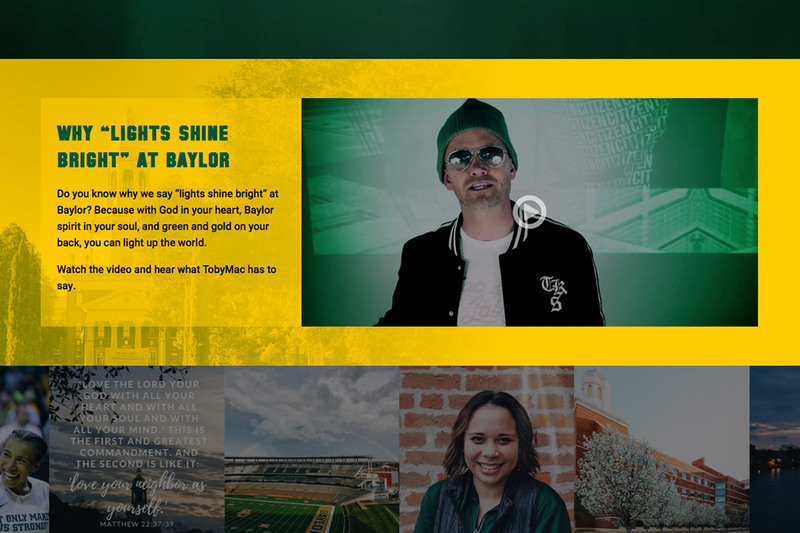 Baylor.edu/lights features a message from TobyMac and provides prospective students with entry points to learn more about Baylor. 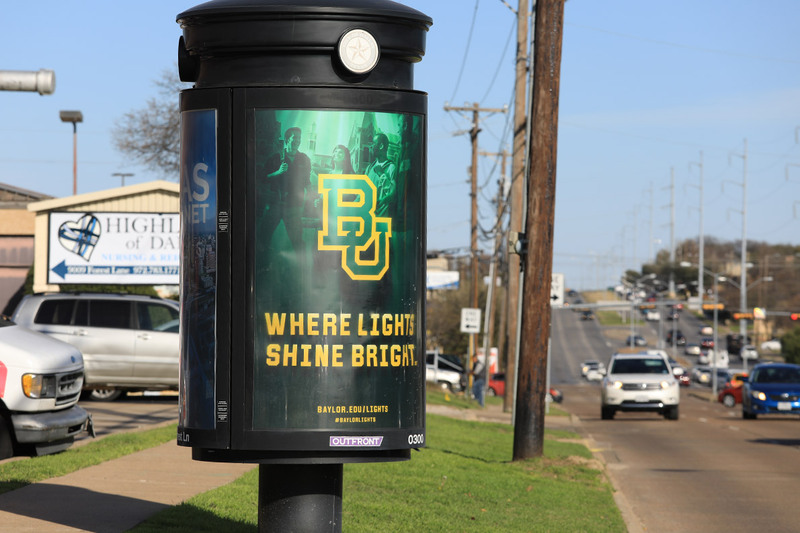 Message kiosks in Dallas and Houston help prospective students and parents see why Baylor University is a place Where Lights Shine Bright. A #BaylorLights Dr Pepper Hour takeover was a glowtastic success with lighted cups and a fun photo op with the President. Baylor’s Clifton Robinson Tower was transformed into a digital wallscape to impact busy I-35 through Waco. A similar technology presented campaign messages along Stemmons in Dallas. 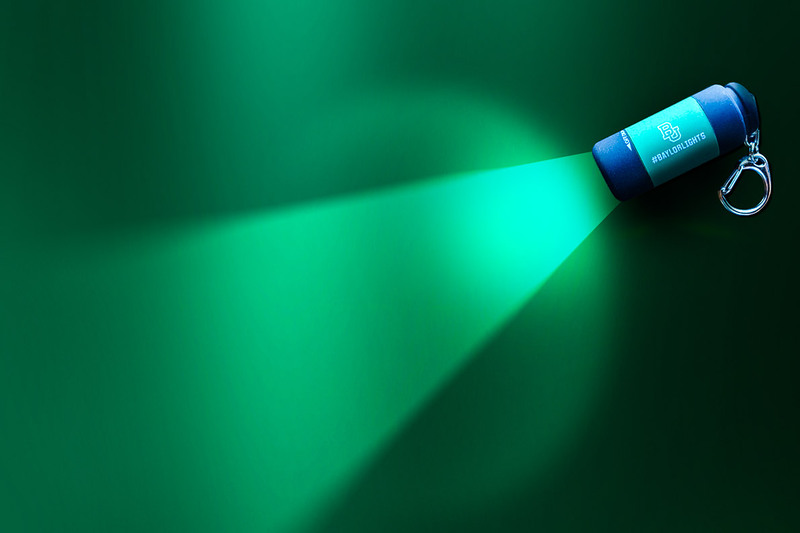 USB-rechargeable flashlights were given to students across campus as a reminder to be a light in the world. 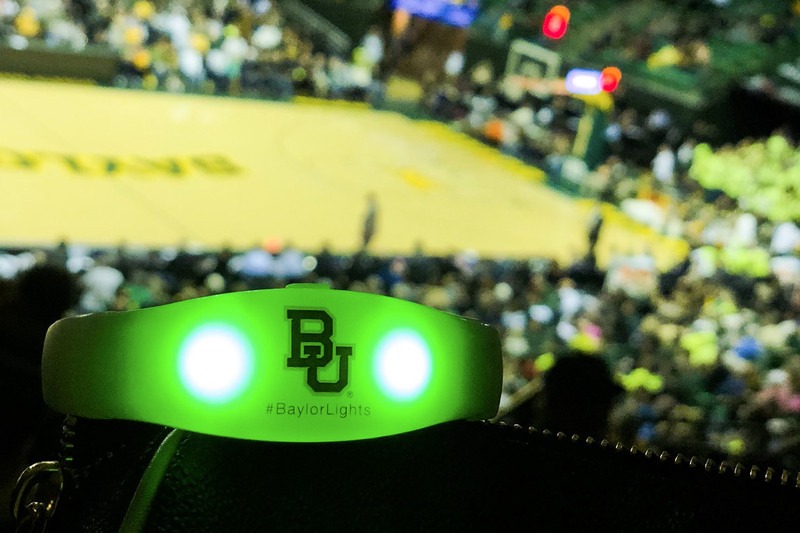 Men's and women's basketball venues provided opportunities to celebrate #BaylorLights. 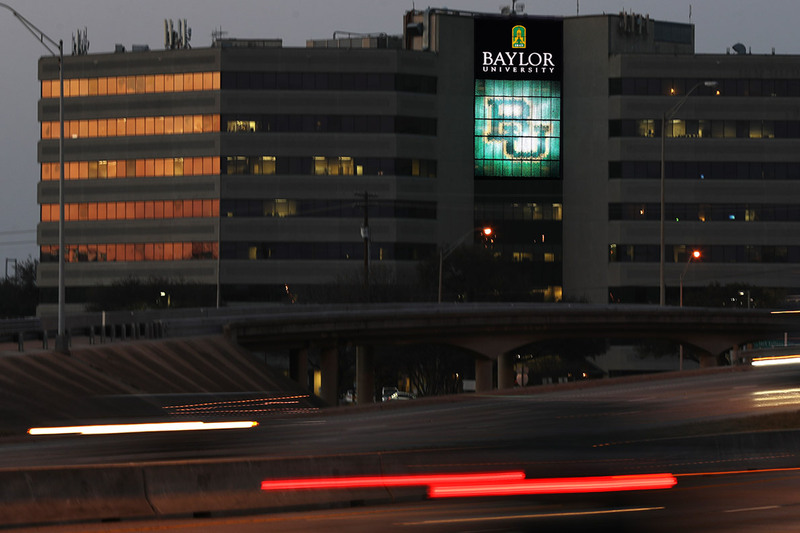 Baylor's Clifton Robinson Tower was transformed into a digital wallscape to impact busy I-35 through Waco. A similar technology presented campaign messages along Stemmons in Dallas.